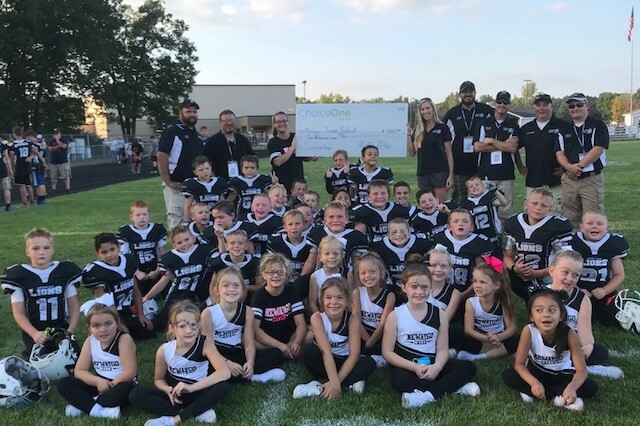 Newaygo Junior Football is a nonprofit 503c organization, with a slogan – The Youth are the Future. The organization strives to provide a fun, safe and high energy learning experience for children interested in learning to play football or cheerleading. The organization teaches football and cheerleading for grades K-8. The sponsor money will help purchase Guardian Caps worn during practice, as most concussions happen at practice. They are not allowed for games. The Guardian Caps provide 33 percent less G-force. All grade levels wear the caps during practice to help prevent any safety concerns parents have pertaining to concussions. Newaygo Junior Football offered an anonymous survey to parents in 2017 and found that not as many kids signed up to play football because parents were concerned for their safety, particularly because of the possibility of concussions. Parent’s concerns for safety are now addressed even further than what was already required: making sure all safety equipment is up to date and certified per USA Football standards. The organization wanted to show parents, who have hesitated to allow their children to play tackle football, that their child’s safety is an upmost concern. Taking advantage of such a great piece of equipment like the Guardian Caps will help with protection. “Hence, Newaygo Junior Football has the largest group of kids this year that the program has ever seen, and we expect even more next year as the word spreads. We could not be happier with the results,” said Klomp.